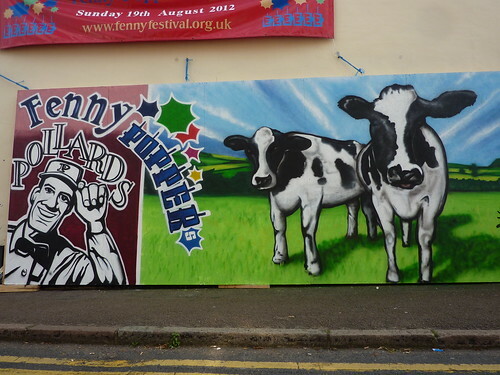 Arkadegraphics was asked to paint at Fenny poppers festival in Bletchley 2012. The picture of the cows and a small advert for Pollards was painted on the wall down the side of the shop much to the delight of spectators , a lucky few even got to try there hands helping to paint . This entry was posted in Artwork, Commissions and tagged concrete cows of mk, Painting of cows. Bookmark the permalink.